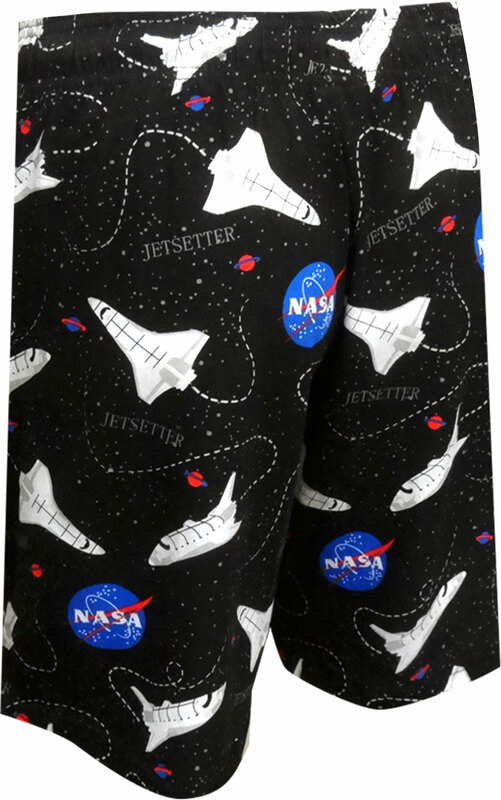 Description: Whether you have a science nut in your house, or just a teenager who thinks space is mesmerizing, these pajama shorts have the right stuff! The NASA logo and space shuttles are featured on the sleep jams. Drawstring to adjust to just the right fit, with button fly and side pockets. 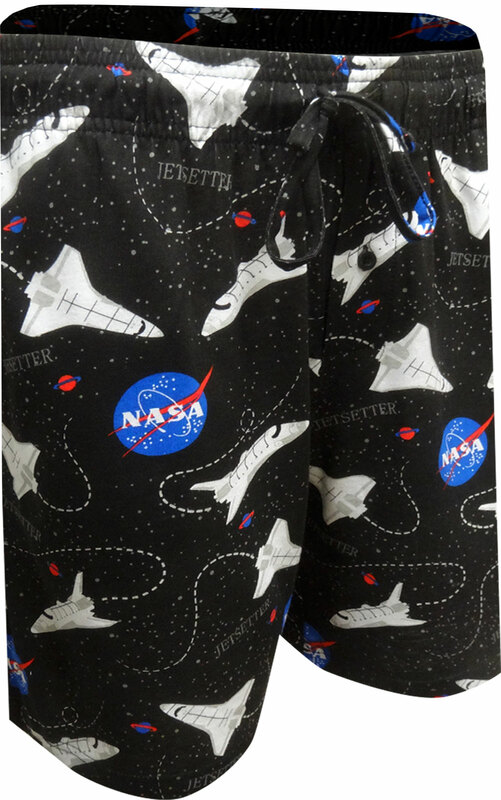 Stargaze, bum around, or look for shooting stars in these fun lounge shorts!